Comcast, which owns NBCUniversal and is the largest US cable TV operator, says it is preparing an all-cash offer for media-entertainment assets of 21st Century Fox to top an offer from Walt Disney Co.
A full-fledged bidding war for key assets of Rupert Murdoch's 21st Century Fox erupted Wednesday as media and cable giant Comcast announced it plans an all-cash bid that would top an offer already on the table from Walt Disney Co.
Comcast said it is in "advanced stages of preparing" the offer for the television and entertainment assets Fox agreed to sell to Disney in a $52.4 billion stock deal announced in December. Comcast, which owns the NBCUniversal media-entertainment group and is the largest US cable operator, said it was prepared to pay more than Disney for the operations, which don't include Murdoch's Fox News Channel, Fox Broadcasting and major sports channels. "Any offer for Fox would be all-cash and at a premium to the value of the current all-share offer from Disney," the Comcast statement said. "The structure and terms of any offer by Comcast, including with respect to both the spin-off of 'New Fox' and the regulatory risk provisions and the related termination fee, would be at least as favorable to Fox shareholders as the Disney offer." Either deal would dramatically reshape the media-entertainment landscape and scale back the Fox empire created by the 87-year-old Murdoch. Murdoch, who with his family controls 21st Century Fox, agreed to the tie-up in December that would give Disney the famed Fox studios in Hollywood along with Fox's international TV operations and US cable entertainment and regional sports channels. Included in the sale is Fox's 39 percent stake in the British pay TV operator Sky. Murdoch has sought full control of Sky but has faced opposition from regulators in Britain. 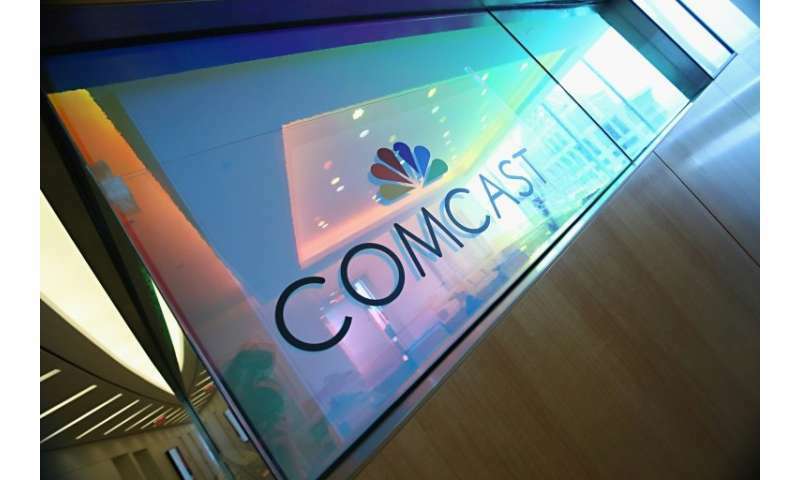 Separately, Comcast last month made an offer of $30.7 billion in cash for Sky, in a move welcomed by the British firm. Some reports said Murdoch had previously rejected an offer from Comcast. But the controlling family and shareholders would face pressure if the new offer is better than the one from Disney. Fox had no immediate comment on the Comcast statement. But in its most recent earnings call, co-executive chairman Lachlan Murdoch said that "we are committed to our agreement with Disney" and that board members "are aware of their fiduciary duties on behalf of all shareholders." Analyst Richard Greenfield at BTIG Research predicted last month that Comcast would offer "a 25 percent premium to Disney's bid" in an effort to win the deal. "While a Comcast acquisition of Fox is surely challenging financially, Comcast has never shied away from a challenge," the analyst wrote. Either deal could face intense scrutiny from antitrust regulators because of the implications for the television and cinema sectors. A tie-up with Disney would create giant a with up to 40 percent of US box office revenues, according to some estimates. Comcast's Universal studios is smaller than Disney's but could vault to the top of the market by adding 20th Century Fox. Either Comcast or Disney would gain global stature in the TV sector with Sky, the pan-European broadcaster with operations in Britain, Ireland, Germany, Austria and Spain. Comcast operates the NBC broadcast network while Disney owns ABC, and both have multiple cable channels. The move comes with Murdoch gradually withdrawing from the empire he built, giving more authority to his sons Lachlan and James. 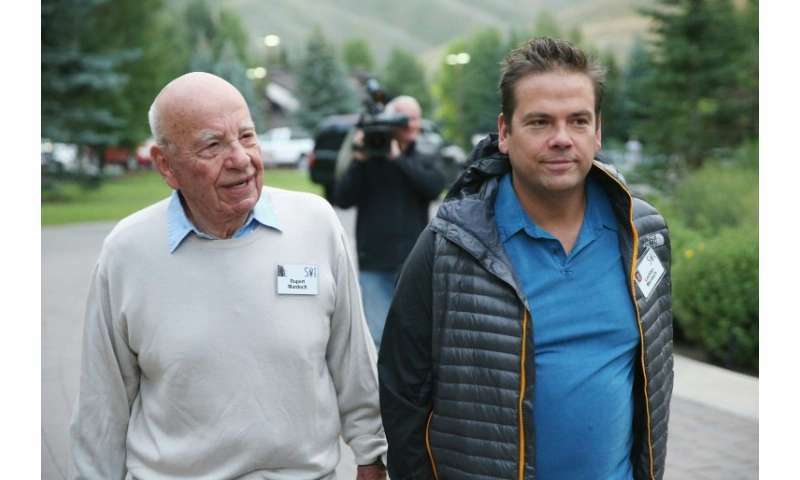 The group announced last week that Lachlan Murdoch would assume the role of chairman and chief executive at the "new" Fox, which would be tightly focused around the Fox News Channel and sports cable channels. The consolidation in the sector comes with traditional operators facing pressure from online and tech platforms such as Netflix and Amazon, which are shaking up the model of pay TV deliver as well as the studio system for content production. Another pending deal that would join telecom and broadband giant AT&T with media-entertainment group Time Warner is being challenged by the US Justice Department in an antitrust suit. A judge is expected to rule in that case next month.